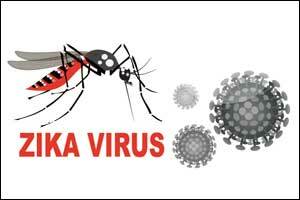 Jaipur: Around 120 people have tested positive for Zika virus in Rajasthan, state health minister Kalicharan Saraf said on Monday. “Till, now, 120 people have tested positive for Zika Virus in the state out of which 105 of them have been treated,” he said, adding that door-to-door survey is being done for screening and awareness of the virus. He further said that the disease can be cured within one week if adequate preventive measures are followed by the patients.”According to medical experts, the Zika fever can be cured if patients, who are suffering from it, get plenty of rest, drink ample amount of water, and take medicines such as paracetamol, they can get cured within a week,” Saraf added. The Zika virus disease, a mosquito-borne viral infection is caused by a virus transmitted primarily by Aedes mosquitoes, which bite during the day. Symptoms of this disease are mild fever, rash, conjunctivitis, muscle and joint pain, malaise or a headache.